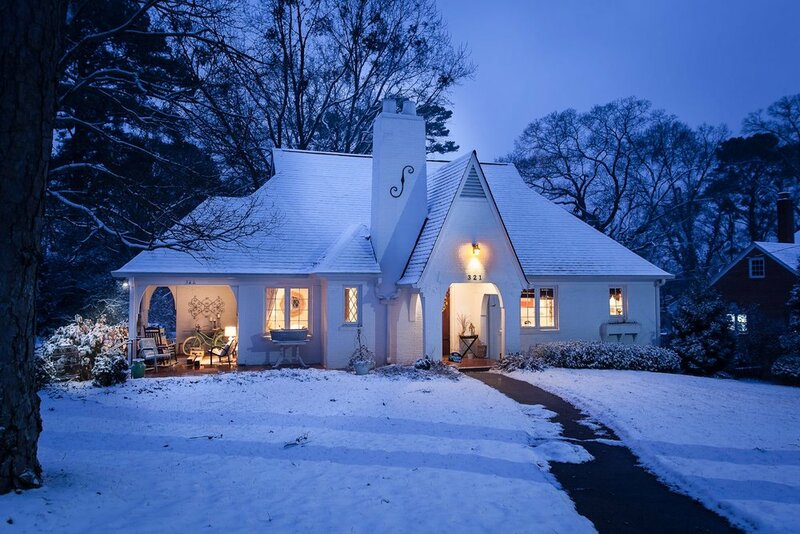 Architectural photography is typically accomplished with longer lenses, different lighting schemes, and more complex editing than real estate photography. I can remember when Stephanie and I were shooting family portraits and weddings years ago and I had started regularly reading some photography blogs and websites and would come across posts about commercial photography, the prep, the pressure, conceptualizing images instead of just shooting what was going on at a wedding, for example, or posing some photo subjects. It gave me a little anxiety to even read about the commercial genre. I’m not an overly-competitive person and don’t have some deep inner need to prove myself to people - I’m not lazy or apathetic, I’m just comfortable in my own skin, I guess. I had no ambition to enter into this genre in any way. And here’s a big admission: I’m typically not very creative on-the-spot when it comes to conceptualizing an image for an ad or for a customer’s home page (I’m pretty creative when there’s planning beforehand, though - More on that in a few paragraphs). Back in 2014 I was on staff full-time at our church and so was Stephanie. We shared an office for five years and those were some good times. She was my boss, and she was a good one, too, and watching her work and deal with people was like getting a master’s degree for me. Again, she graduated number one in her class of several-thousand people from UGA and in 2018 was named one of America’s 100 Most Creative People by Country Living Magazine. So I’m not just looking for brownie points by saying she taught me a lot. She really is exceptional. Anyhow, we had Shiloh in 2012 and Steph continued working full-time, often bringing Shiloh to work with us. So the three of us shared an office for about two years. Man, what a great time. In 2014 we had Afton and at that point Stephanie came to me and said that she wanted to be home full-time or as close to full-time as possible so that she could focus her huge brain and heart on these two little ladies. Again, I was on staff at a church, and not one of those churches where the pastor zips around in a Leer Jet and the staffers are making six figures. I was grateful for my salary, but it wasn’t quite enough to pay all our bills by itself. An image I shot of our home five years ago, which technically is pretty bad as I look at it now (the image, not the house), but lead to an interest in architectural photography. The January prior to that we actually got a good snow and I wandered up and down our street at about 1:00 a.m. shooting photos of the homes on our street and sending the images to my neighbors. We live in a little downtown area and the homes on our street are of varying architecture, but it’s really a beautiful street, so I was proud of the images and happy to give them to my neighbors as gifts. One of my neighbors, who was a real estate broker, called me and asked if I would have time to start shooting his listings after work for a little money. We had one kid, were pregnant with our second, I was working on a master’s seminary degree, and Stephanie and I were both working full-time. But I said yes anyhow. I didn’t know much about real estate photography, so I started searching for articles and tutorials on real estate photography and architectural photography, watching any videos I could find, watching them again, and then reading and re-reading any articles I came across. Like most any niche in photography, there is way more to it than one would think at surface-level. Unfortunately for a beginner, it isn’t just a matter of buying a nice camera and a few nice lenses and leaning on them. For any professional photographer, knowledge is the greatest asset that can be added to the arsenal. I started looking at architectural images that caught my eye and asking myself why I liked them. What made it good? How was it composed? From what height was the image shot? How was it lit? How was it processed? What lens was used? I look back particularly on the images I produced from that first year in that genre and cringe. They are TERRIBLE. I’m not being humble. I can’t even post one of these because I’m afraid it would show up in a Google Image search linked here to my website, people would see it, I’d go out of business, and my girls and I would be out on the street. It’s really that bad. But, I’m thankful for those awful photos. They remind me of a time when I was in the steepest part of a learning curve that in photography might flatten out a little, but never gets East-Texas-flat. Those bad images led me to better images that my clients today can be proud to share to show off what they do and who they are. 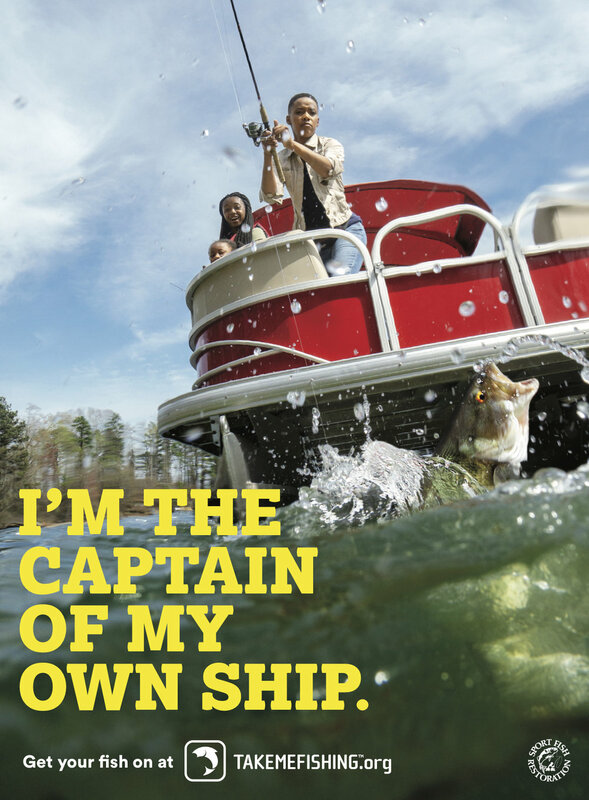 This and several other images that I produced for a great client, The Recreational Boating & Fishing Foundation (TakeMeFishing.org), ran as full-paid ads in multiple issues of Outside Magazine in 2018. What I’ve learned since those first real estate shoots is that, like almost anything else, when you go from simpler, lower-paying, less-specialized work and start climbing those ladders, the pressure does go up a bit (a lot for some shoots! ), but you adapt and learn and get the knowledge you need to succeed. Since I now work almost exclusively with business owners or marketing/brand managers, my big fear of not always being conceptually creative has been met by these professionals working with me to shape the concepts and direction of the images. I’ve learned that a few focused discussions and a solid shot list that’s been created through collaboration can lead to great results, even when my natural creativity stalls. And I’ll tell you this… I’m a great copycat. I really am. That’s part of how I sell my work to new clients. If they can show me some example images, we can go through what they like about them and I can tailor how I shoot and edit to fit the desired style for them. I still shoot for a couple of realtors right here in my downtown area, but aside from them I’m out of the real estate photography game. Now my business is about 60% architectural photography (for clients like architects, designers, custom builders, and some big clients like STAINMASTER Flooring) and about 40% lifestyle clients like Cabela’s and Bass Pro Shops, TakeMeFishing.org, Winston Fly Rods, Peach State Pride and their family of state-branded companies, Vexus Boats, etc. And mixed in there has been some really fun editorial work for publications like Southern Living, Gray’s Sporting Journal, The Flyfish Journal, Atlanta Magazine, etc. And now, this is all I do. I love it. I have great clients really without exception, with whom I love to work and speak and meet with and conceptualize. As a not-artistic person, I would have never thought I’d be doing something like this to support my family and fill my days. But I wouldn’t have it any other way. UP NEXT: The failure that lead to success.